Interested in learning about radio controlled fire door technology? Come along to our free Salamander radio controlled fire door system training session on Tuesday 1st August 2017. The Salamander system is wire-free and specified up to the highest fire safety standard in the UK (BS7273-4 critical actuation or category A). Salamander products are triggered by radio waves from a central controller connected to the existing fire panel. 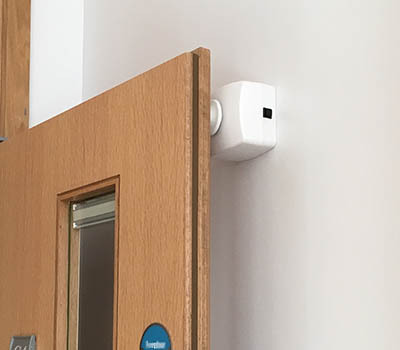 Each fire door holder and closer connects wirelessly to minimise disruption to the building during installation. Perfect for schools, heritage buildings, theatres, large open plan buildings and even spaces with asbestos, all of the products in the range are battery powered and wire-free, saving time, installation costs and any disruption. To book, contact us at enquiries@geofire.co.uk.